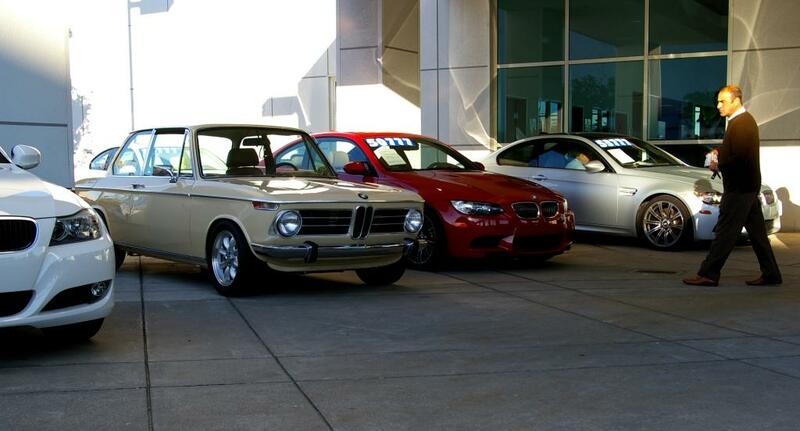 What Color Should I Paint a 1972 tii? which was stored indoors & heated 20+ years and is completely original & rust-free. She goes for replacement of LR qtr panel and rear panel next week then paint. If I won the lotto I'd have one each in Ceylon, Polaris, Fjord, Colorado, Granatrot, Siennabrun, and oh yeah, Turkis. Polaris is my default. The car is to be kept 100% bone stock original, down to the front and rear suspension and driveline which is being stripped and powdercoated black. There will be no sign of the previous color visible anywhere when we're done. Please tell me whether you'd keep it Sahara or go for something else. I am not doing this for the money but would the value of the car be less in the end with another color? I'll be posting and the shop doing the work is putting it on it's web site as well so you'll see the whole thing. Many highly prized cars (Bill's Touring for example) are not their original color. I think the devaluation happens when the details of changing color are not dealt with correctly or when someone uses a non -stock 2002 color. You should make yourself happy. My car is Polaris and I like it because it doesn't show dirt in the same way as some of the darker colors. I am also partial to Inka, but that's just me. It's kind of like asking what kind of ice cream is best. One man's vanilla is another's rocky road. Good news is, like ice cream, they are all good choices. If Sahara doesn't make you smile every time you look at it, then by all means pick a color that does, just do it correctly. Pick any color you like but do a complete color change, in and out. I would suggest that you choose a period correct color for '72 as some early and late (obviously) colors were not available in '72. Go take a look at a fresh Sahara and then make up your mind. I'd say keep it the original color but hey, it's your car. If you are worried about return on resale, don't color change. If not, go for it! tiga green or black..or alpine white..
Keep it Sahara. When you see a newly repainted sahara, it stands out. It's also a stealthy color, so it doesn't attract to much attention like inka and golf. The PO of my former 73 Bavaria that was originally verona, repainted it malaga. Every door ding showed verona. I said that if I ever matched six out of six numbers, I would repaint the car back to to verona. Since I didn't win the lotto I sold it. I'm a firm believer that if you want a tii in a certain color, find one in that color. Don't do a color change, keep it sahara. Doing a color change will hurt the long term value of the car, IMHO. I even repainted my 74 sahara tii, sahara. Here is pics taken a year ago of my tii. The car was repainted in 1996. Tii = Original. Or in the least, pick a color from the year. But I will say that the more I look at Anthracite on my daughters 76, the more I love it. I could really make a car in that color look sweet. My two cents? Keep it the original color. Better for resale value, better for stealth, better for not showing dirt. Also, it's quite a nice color, in my humble opinion. But as they others note, it is your car. At the end of the day, you probably should please yourself. when its all said and done, you can usually find my flag flying in the keep it the original colour camp. But I have to agree with m-racer and 72 Golf. It you're not a fan of German Taxi Beige (LOL) and are willing to go the whole way to make sure it's a complete colour change, just pick a period correct colour * and go for it. IMHO i would be choosing a colour that is hard to find elsewhere out there, ceylon or turkis for example. But i would susggest that you make sure it was an available colour that was matched by BMW with the colour of your interior. These cars, especially rarer models and tii's are all bringing strong money, and properly thought out and executed colour changes wont hurt the value of the car that dramatically - unless its a one owner 10,000mi museum piece. Make sure to prep the car well to avoid the "Verona issue" discussed here. In the end, its your car - and your the one that has to look at it every day. So be happy with the colour that it is when its sitting there. * i have to admit that i didnt follow my own advice and changed the colour of one of my 02's. My 74tii was Polaris over navy and the paint was shot. I had the car stripped to bare metal and painted Lachssilber (80's era BMW Silver) I've attached a pic - i think it looked great, and in reality it was more of a shade change then complete colour change. I've also attached a pic of my 75 after it was redone in Siennabraun. Most people asked why id repaint a car brown when i had the chance to change it, i said, becasue that's how it came from the factory - and i cant tell you the number of compliments i got on it when i would drive it around. People loved the unique period colour. ... would the value of the car be less in the end with another color? you give your own, correct answer. '100% bone stock original' means keeping it sahara. also, IIRC the documentation available from BMW will identify the factory color. if not, cognescenti will be able to tell by the serial number block. i have seen evidence these cars were painted in blocks of colors- my car is baikal and so is 2761389 which shows, to me, a block of baikal cars from 2761375 to 2761390 or 1400.
remember, it's a tii which are on a different plane of collectibility than your run-of-the-mill '02. in 20 years a color change could be worth thousands. i firmly believe we tii owners are mere custodians of an important automotive hereitage. so the car is beyond your wishes. instead, you have responsibility to the car. baikal is the coolest color, not sexiest. ps. if overall sahara is really too much for you, try some shelby-style stripes in inka. You have some good advice above, so I won't repeat anything. But, here's my take. Do whatever you like, it's your car. I think an '02 in excellent condition is gorgeous in any color! I like Inka too, but I also like Colorado, and a dozen other colors, including an often forgotten Nevada - that is an awesome color in the flesh! I am not a big fan of Sahara either, but as some have said....a freshly painted Sahara color '02 may open your eyes! :-) I felt the same way about Chamonix until I restored "Hugo" (my early '72tii)...new Chamonix is drop dead gorgeous!....I love it now! So, you may feel the same way about Sahara. With Sahara I'd go with Black interior, which is most likely not what the car came with...but, the contrast of light exterior and dark interior "will" help the overall appearance of Sahara IMO. 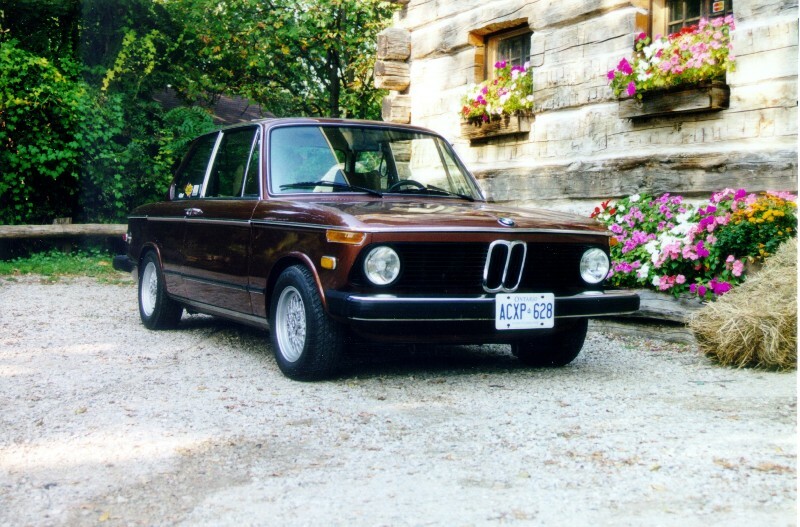 just an additional thought about colour change - my 74tii - after the colour change, still sold for almost $10k back in 1991. That was big money back then for an 02. If it was still around today (N.O rolled it and wrote it off) I'm sure it would only be continuing to appreciate in value. something like that (posted in another Topic here. I really like that color ! It's important to keep in mind that colors are "fashions" and change in time. Car colors are subjective to its current owner and that particular owner's personal taste is reflected in choosing to alter the car's heritage. In the end, a color change works against the value of your otherwise, "bone-stock" car (unless you're Bobby Rahal and have Don Dethlefson do the restoration). BMW documented very little about each car during production. The North American VINs can be traced back and indicate production date and what little optional equipment was available. A sunroof (or lack thereof) and color, are key bits of corresponding factory information. There were two kinds of paint in the early 70s. Solid, single-stage colors were "standard," and metallic, two-stage paints. The metallics were "optional" and there was an additional charge ($100-$200) listed on the window sticker. I happen to like the understated elegance of Sahara. And if you're going to go 100% stock except for the color, bear in mind that the interior should remain tobacco/black. 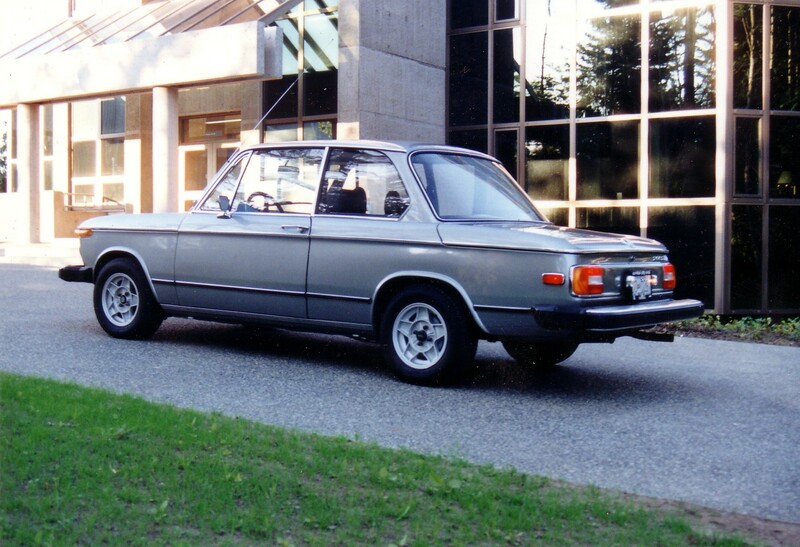 Now if I were to change anything on my *fantasy* Sahara 2002tii, I'd do what the person in the picture above has done -- change the interior color to black. What *might* be acceptable is to add a set of vintage correct wheels with enough contrasting black to help balance the look of your car. You can change the colorif you like, but with as much time as I've spent (and still spend) around body shops, it takes an additional 15-20 labor hours to prep a car for a full color change and do it right -- despite what the body shop manager says. And, given the kind of "mission-creep" restoration projects have, that money might best be spent elsewhere.